As part of their lighthouse project, artists Brendan Jackson and Geoff Broadway will be producing a local heritage map. Come along and join in with this workshop. Is there a particular local feature you’d like to see included, within walking distance of the original Chances glassworks? Chance lighthouses were iconic landmarks – what landmarks would you include on a map of Smethwick? Come along and share your ideas! 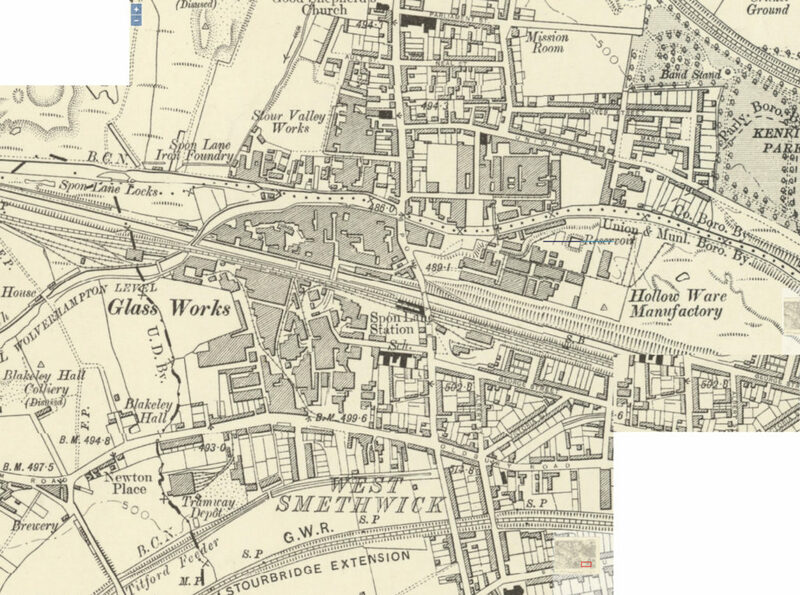 Image: Environs of Smethwick glassworks, circa 1904. Geoff Broadway and Brendan Jackson will be showing some images from the project at the base of B-Side from March 29th for four weeks. They will also be presenting an artist talk on the evening on Wednesday March 28th. March 29th for four weeks.